Every year, a number of professional bladesmiths meet up at a workshop in Alaska, and together, as a team, forge a sword. It takes them four days to do it, and it takes all their skills combined to create this sword. This is Arctic Fire. For four hours every day, for four days, they work on the sword, the whole time being filmed live on youtube. Just so you know, I’m actually watching it as I write, so pardon me if I get a little… disorientated. This sword, when they are done, will be multi-thousands of dollars, and some person who watches the live video will get it. It’s not gonna be sold, nor given away by a random drawing. What happens, is once the sword is completed, it is going to be hidden away in some part of the world, and it is the viewers part is to find where the sword will be hidden, and what the sword’s name will be. The viewer will find this out from clues hidden throughout the video; if someone guesses correctly on where it is hidden and what the name is, Arctic Fire will pay for their all-round plane fair to retrieve the sword from its hiding place, and keep it. This entry was posted in Uncategorized on May 29, 2013 by Captain Belaq. 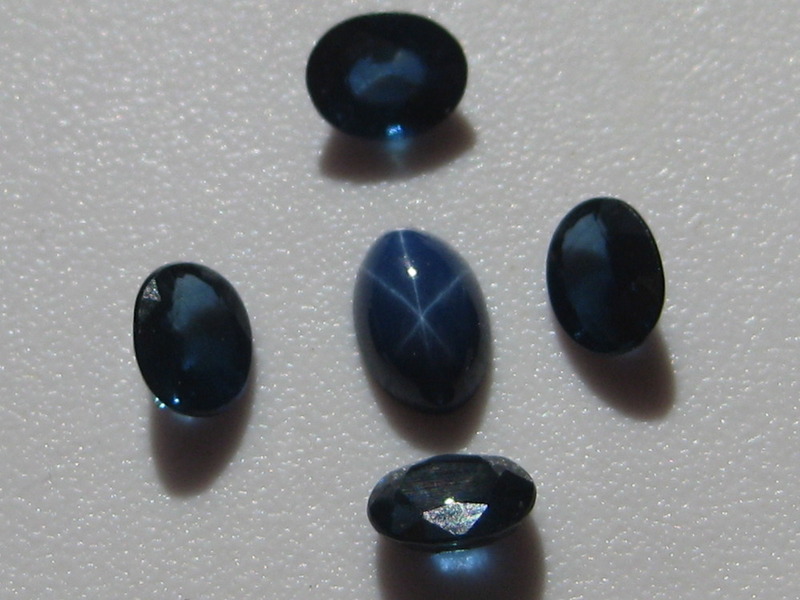 A pic of my Sapphires I took a few years ago, near the start of this blog. September’s birthstone is the last of the precious gems. Sapphire. Sapphire is a variety of Corundum, which Ruby is also a variety of. Interestingly enough, Ruby is red Corundum, and Sapphire is every other color of Corundum. 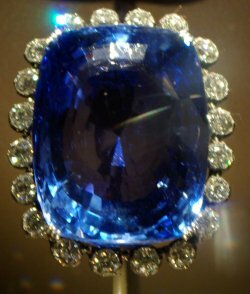 It is just that jewelers and buyers prefer blue Sapphires, so now everyone comes to think of Sapphires as always blue. A Sapphires (and occasionally Rubies) grow, sometimes a Chrysoberyl crystal will be growing inside the Sapphire at the same rate of growth as the Sapphire itself! Chrysoberyl has a very interesting growth pattern, i.e, sort of outward in a six-pointed star. Once the Sapphire grows up around the Chrysoberyl, the Chrysoberyl’s “crystal solution” is shut off, and so the Chrysoberyl stops growing. Later, miners come, pick it out of the rock, and eventually it gets shipped off to a jeweler. The jeweler (using a lens) is barely able to see that there is a Chrysoberyl inside the Sapphire, so he cuts the Sapphire in a cab, and polishes the stone. Now, Chrysoberyl normally has a very profound cat’s-eye effect, and when light shines through the Sapphire, it goes down the the Chrysoberyl, bounces off in the form of a cat’s-eye, and comes back to our eye, shining through the Sapphire as “lightning” strikes in the form of a six-pointed star. 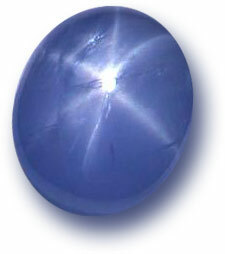 Sapphire would best fit the personality of someone fairly social, though likes to be alone to recharge. He would usually be quiet in a social event, then suddenly become intensely social, as they get into the party. However, this person would normally know when to stop going all out, and go back to be a quiet, yet reserved person. For October, the birthstone is Opal. 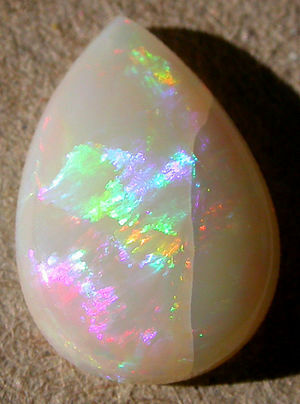 Opal is a unique stone, and observed superstitiously for centuries. During the Black Death, men said that Opals seemed to turn very bright once people caught the plague, yet much earlier it was considered a stone of good luck, as it possessed the colors (and therefore the virtues) of all other stones. Then, in the 1800’s, Walter Scott published ‘Anne of Geierstein’. This book featured a tragic death because of an Evil Opal. Because this book was so popular, people attributed death and tragedy with Opal, and Opal sales dropped by 50%!! They stayed this low for about twenty years before coming back into popularity. Opal’s signature firey colors are because of the atom arrangement; the atoms are formed in layers, plate upon plate, and so light shining through the stone is bent, and only a few wavelengths make it out, into the eye. Opal is much like the personality of someone who, when you first meet, seems reserved and shy, but when you get to know them, they turn out to be bursting in color and happiness. Probably someone who would talk a lot, they would be loyal to their friends and always trying to make them happy, or to amuse them. Okay, I think now we were on July, so let’s get cracking. The birthstone of July is Ruby, the color of blood. 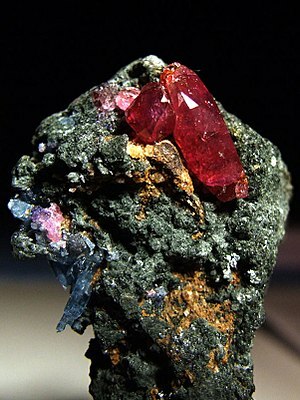 Ruby is a variety of Corundum, which includes Sapphire. Corundum is the hardest natural stone, second ONLY to Diamond. Surprisingly enough, all Corundum is is Aluminum Oxide. And Aluminum Oxide is basically rusted Aluminum. Unlike Iron rust, however, Aluminum Oxide is not powdery and does not flake off. Rather, it is extremely hard, and stays fixed to the host Aluminum. Corundum is formed when natural Aluminum oxidizes, and is mixed with a water solution. Over a period of time, depending on the concentration of Aluminum Oxide, the water dries, leaving some of the oxide, and a crystal begins growing, with more and more Aluminum Oxide in water solution flowing in to grow the crystal more. Traces of Chromium tint the crystal red. A Ruby would best fit the personality of someone who is calm and decisive, someone who is thinking on their feet, someone who always rises to a position of leadership, someone who knows what to do in whatever situation and can make quick decisions, whether good or bad. August’ birthstone is Peridot, pronounced in the French way. If you do not have a good French accent, don’t read the word. It hurts to hear French pronounced horribly. I can hear you all the way over here, so don’t say it. Please. Anyway, Peridot is the gem quality form of Olivine, which is of volcanic origin. Olivine itself is actually very common, quite a bit of the sand in the Hawaiian islands is made up of Olivine grains! Peridot itself is not worth very much, yet it is still a very beautiful little Gem. The hues of Peridot reflect the personality of someone who is creative, full of energy, and has a good sense of humor. Someone who talks as much as she thinks, if not more. Always someone who is willing to make friends, and in all probability someone who likes to dance. This entry was posted in Uncategorized on May 28, 2013 by Captain Belaq. This video I found a while back, it gave me a good insight on stock removal knife making. Specifically, it supplied most of my knowledge on fixing handles on full-tang knives. This one is on Damascus steel making. Cable works for pattern welding because it is made of twisted steel of different carbon contents, so hard and soft steel get mixed. For a high-quality knife however, steel with higher quality than cable can be obtained pretty cheaply, but this shows the process quite well. This one is not very detailed, long, or “professional”, but this is quite a lot of help, especially with the “pinching” and the drawing out of the tang. It shows the general process, so I have something as a guideline when forging in the garage. This entry was posted in Uncategorized on May 27, 2013 by Captain Belaq. This month’s birthstone, May, is Emerald. 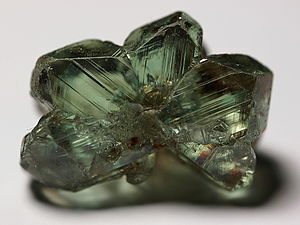 This is the most well-known variety of Beryl, Aquamarine taking second. Emerald, to me, has the most overpoweringly attractive colors of all the birthstones, and so is one of the most sought-after gems, many Emeralds being worth much more than a Diamond of the same size. Just as a side note by the way, stones should not really be thought of as “ooh, a diamond! This is worth more than a ruby!”. It is more of an examination of the quality of gems, rather than deciding it’s worth on what it is, especially with Emeralds. Why “especially” with Emeralds? Because of the four precious stones, Ruby, Sapphire, Emerald, and Diamond, Emerald naturally tends to have the most inclusions, which dramatically affect the stone’s value. 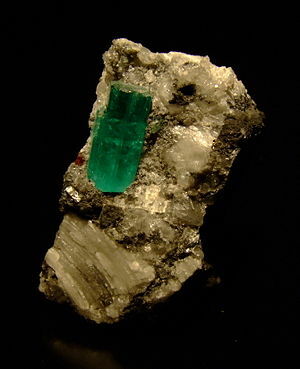 Let’s say we have two Emeralds that are the exact same size, weight (let’s say about 3 grams), and shape, yet one is opaque with inclusions, and the other is about as pure as the photo above. The one without very many inclusions would be worth hundreds of dollars, yet the one with the inclusions would only be worth $10 at the most. The luscious, entrancing tone of the Emerald would best fit the personality of someone who is a deep thinker, someone who tries to be alone, yet always attracts people and becomes friends with them, someone who is compassionate yet quiet. June’s birthstone is technically not a stone at all, but the secretion of a clam. That’s right, June’s birthstone is a Pearl. 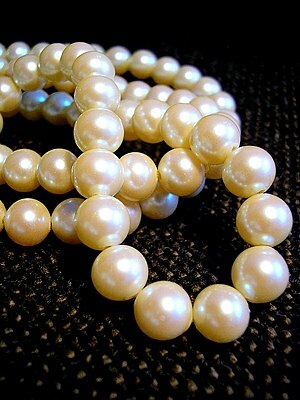 A Pearl is formed when a piece of debri enters into the clam’s mouth (it IS a mouth, right??). The prevent the debri from contaminating the clam, it slowly secretes over the debri Calcium Dioxide, which is the same material it’s shell is made of. After a long while (ranging from months to years) the debri is completely covered, sometimes in a perfect sphere, depending on the debri shape. The calcium dioxide covers the debri in the same rate and shape as the debri itself, and so the Pearl takes on the original shape of the debri. Those Pearls that are not perfectly spherical are called Baroque Pearls, and are worth considerably less than perfectly spherical ones. The soft tone of a Pearl would match someone who is soft and accomidating, gentle and kind, someone who likes to take issues easily, with no violent acts. Someone who is soft and kind, and keeps no secrets. Well, that’s all for today; if your birthstone is Turquoise, it’ll probably be a while until I get around to you. Until then, be bright!! This entry was posted in Uncategorized on May 26, 2013 by Captain Belaq. I haven’t done a Gemstone post for a long time, so here we go. The list of the current birthstones and corresponding months. Keep in mind that there are lots of variations, but this is the most common one. January’s birthstone is Garnet. Garnet is actually a class of mineral, but the normally accepted type for January is called Pyrope. The best quality Pyrope is normally an extremely deep red, which invokes deep thought and character, also reminds one of introvertity. Low-quality Garnets are used for abrasives in sandpaper and grinders, as they are very hard, and non-gem quality garnets are plentiful and easily found. 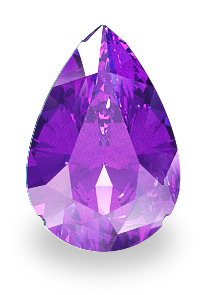 February’s birthstone is Amethyst. Amethyst is one of the few gems that are a definite violet. Amethyst is a variety of quartz, basically rock crystal yet colored purple. Amethyst can range from an extremely deep purple to almost white violet. Sometimes Amethyst forms in huge clumps in caves to form an “Amethyst Cathedral”, a huge clump of Amethyst crystals sometimes six feet high!! It would best fit someone who is outgoing, friendly, and compassionate, knowing everyone and liking to be the center of attention. March’s birthstone is Aquamarine. 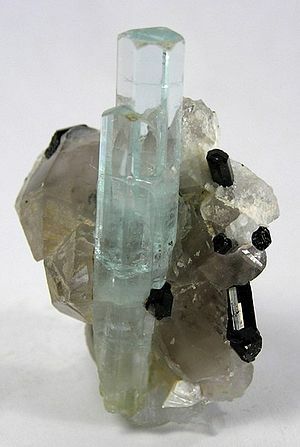 The name Aquamarine comes from it’s color: Aqua, which means water, and Marine, which means Sea. Essentially, Sea-water! It is so-called because of the stone’s light blue, sometimes a shade of green. In past times, greenish blue was most sought after, as it was the color of the sea, though today people prefer the light blue, as it seems more pure and “clean”. Aquamarine would best fit a person with a very outgoing personality, someone who likes to shine and be a star, social and a party-person. With April we now come to Diamond, the most popular and well-known gemstone. It is also the hardest substance known to man, hardness 10 on the Mohs hardness scale of 1-10. Hardness refers to the ability to scratch another substance; only a substance with hardness ten (or above) can scratch another substance of the same hardness. Graphite from a pencil, for example, has a hardness of about 1.5, and can be scratched by anything above it on the scale. 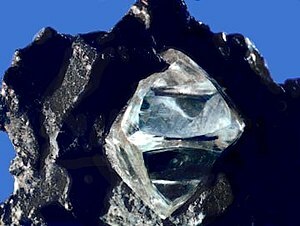 An interesting thing, is that the shape called “diamond” refers to the natural crystal growth, which interestingly enough many minerals share. A Diamond would best suit a person who is bright and showy, yet firm and hard in their beliefs, someone who believes constructive criticism is good for a person. Well folks, that’s all for now; I’m out of writing time. Stay around for part two!! This entry was posted in Uncategorized on May 24, 2013 by Captain Belaq.